Key insights for creating a remarkable workplace culture! It’s been an exceptional year of shared learning through case examples, stories, and posts on best practices. We’re delighted to share the following blog posts that garnered the highest traffic during the past year. They’re compiled here for your review and use as a resource for building constructive workplace cultures. You read them, we tracked them, let’s count them down! #10 - Does Culture HAVE to Eat Strategy for Lunch? This strategic overview resonated with our readers. Experienced consultant, Cathy Perme, raises the important point that the strategic planning process in most organizations simply reinforces the current culture. In response to this reality, Cathy provides a case example and highlights an approach for adjusting the strategic planning process after organizational leaders gain a clear understanding of their current work culture and climate. Simulations provide a powerful learning experience and meet a variety of organizational needs. Here’s a case summary that delivers added value by including an interactive experience on group synergy. The challenge? Getting teams to establish synergy is no simple task. As a matter of fact, most work teams underperform. But you can help your teams beat the odds by developing superior interpersonal and rational behaviors that lead to effective solutions. The specific missions and roles of non-profits vary by region and organization, but they share a common goal of making a difference in the communities they serve—at times taking on some of society’s most pressing work. And like for-profit entities, culture plays a vital role in not-for-profit organizations. This unique case study highlights the importance of understanding how paid and volunteer staff can experience the organization in different ways and, as a result, view the current culture very differently. The guidance and expertise of a change agent can be invaluable to your organization’s change effort. Whether internal or external, change agents help leadership teams understand the challenges at hand, assess next steps, and collaborate on a clear path forward. Like a lighthouse, a change agent can provide safe passage. Part geek, part translator, part transformation specialist, guiding change is what they do. Whether an organization builds big trucks or competes in the world of baseball, culture transformation requires a commitment that’s not for the faint of heart. 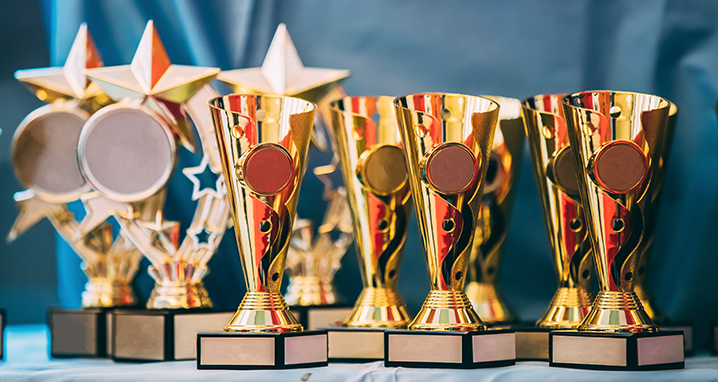 Culture change expert Donna Brighton offers a superb perspective on leadership and culture change at two completely different, major organizations … both with the #1 reason for culture change success. 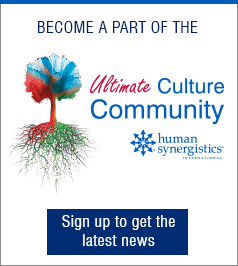 Culture expert, Tim Kuppler, shares seven insights gleaned from the 1st Regional Ultimate Culture Conference hosted by Human Synergistics and the University of Wisconsin Center for Professional and Executive Development (CPED). Whether you attended or missed the conference, you can advance your culture learning with this content-packed summary and video clips, all designed to help you make a meaningful difference in your organization. Culture strategist, Aga Bajer, conducts this thoughtful and engaging interview with world renown culture expert, Edgar Schein. 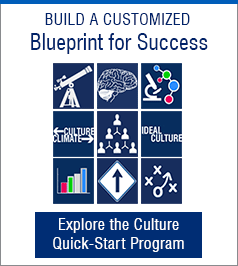 With interesting discussions on employee engagement, assessing culture, building relations and more, you’ll enjoy this refreshing look at culture and culture change. Nothing contributes more to an organization’s mission than clear alignment in the senior leadership team. And when leaders are pulled in conflicting directions, refocusing is essential. Enjoy this 9-point perspective on ensuring alignment in leadership teams. In this superb article, culture master Larry Senn talks about the principles Senn Delaney has developed over 40-years of helping leaders shape high-performing company cultures. Larry shares his views on what's changed and what hasn’t over the decades and offers guidance on shaping your workplace culture. The year 2018 was an unkind one for many to endure as negative and/or negligent leader behaviors were exposed across industries, time and time again. Technology, news & entertainment, higher education, athletics, non-profit--you name the industry, and we had a crisis in trust. In this timely post, culture expert Tim Kuppler offers a comprehensive 12-question culture challenge that change agents can use for unlocking the power of culture for good. And given the number of scandals plaguing domestic and global organizations at senior levels of leadership, this post provides relevant and significant guidance for leadership development and culture transformation. To our readers, thank you for your support, social sharing, and content requests. To our bloggers, a special thank-you for sharing your stories and expertise so that others can learn from your journey. At Human Synergistics, we are passionate about our mission of Changing the World — One Organization at a Time®. Together, the contributions we make to this forum on leadership and culture will help guide our journey, and we invite you to join us. Stay tuned for a rich series of “how-to” content from clients, partners, and members of our Global Change Circle of accredited consultants. There will be several ways to enjoy our content—blogs, webinars, videos, conferences and more, so watch this space for coming details on a remarkable year ahead for change agents!